Has there ever been a trend that you&apos;ve admired from afar, but haven&apos;t quite gotten around to actually trying out yourself? That&apos;s me with hi-tops. I&apos;ve thought they were so cute on other people, but, until recently, I had yet to put on a pair myself. That all changed when I picked up a few pairs of hi-tops for my kiddos. They looked so darn cute in them, I thought they just might look pretty cute on mama too. It&apos;s a shame that I waited so long because I&apos;m loving the look. I&apos;ve had this Ecco pair of high-tops sitting in my closet for ages and it turns out they&apos;re as comfy as they are stylish. They were just the thing to pull out when I wanted a little mommy-and-me style action. You may remember that I shared my baby girl&apos;s metallic high tops a few weeks ago. Well, let me tell you...She&apos;s been wearing those babies non-stop! And mama loves them as much as she does. 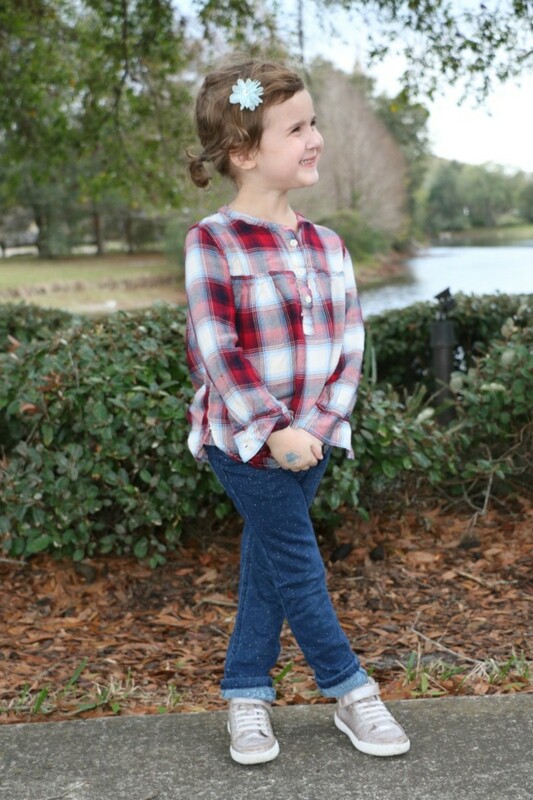 Not only have her Stride Rite kicks kept her feet warm when the temp has dipped here, but they go with everything. 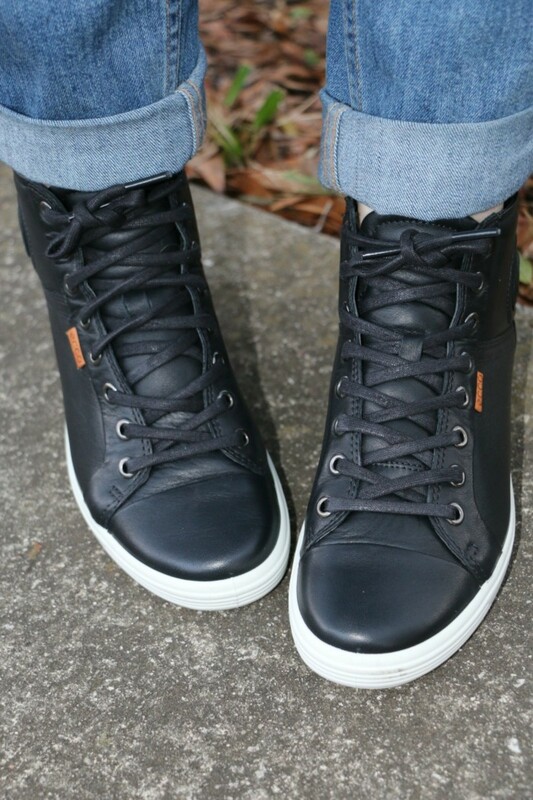 Whether she wants to rock a dress and leggings, a sweater and jeans or even a tee and joggers, these hi-tops work! And thanks to the neutrality of black, mine are pretty darn versatile too! 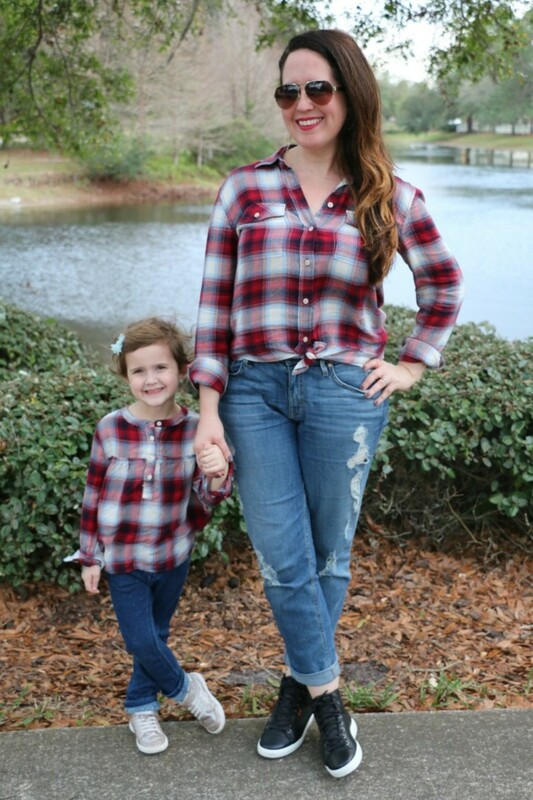 In fact, for our little mommy and me style sesh, I decided to pair our matching Gap + Pendleton plaid shirts (which just so happen to be on sale right now), as well as some jeggings with our hi-tops. 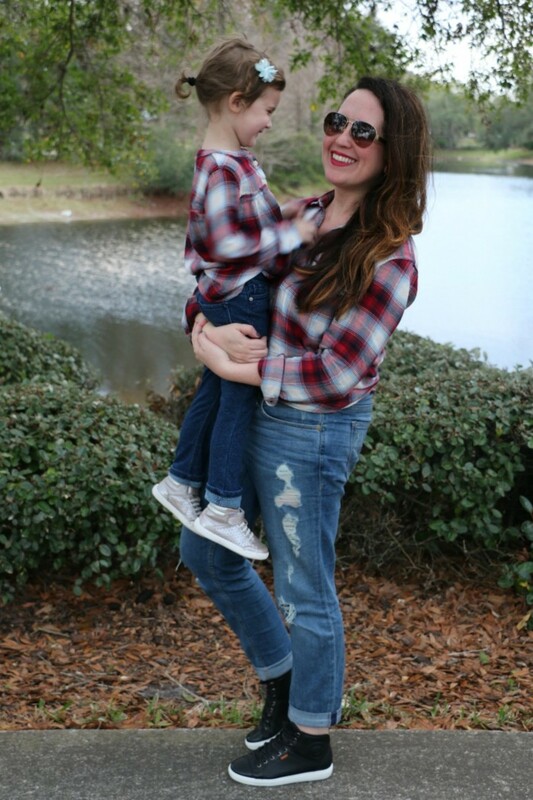 They were the easy breezy, weekend warrior kinda outfits that we could take on our day in without having to worry about being uncomfortable. You gotta love it when comfort and style co-exist! Am I right?! And while we&apos;re talking about comfort, nothing beats a backpack when you&apos;re schlepping around mama stuff. This one from Clove + Revel is pared down, but it still has plenty of room for the necessities! 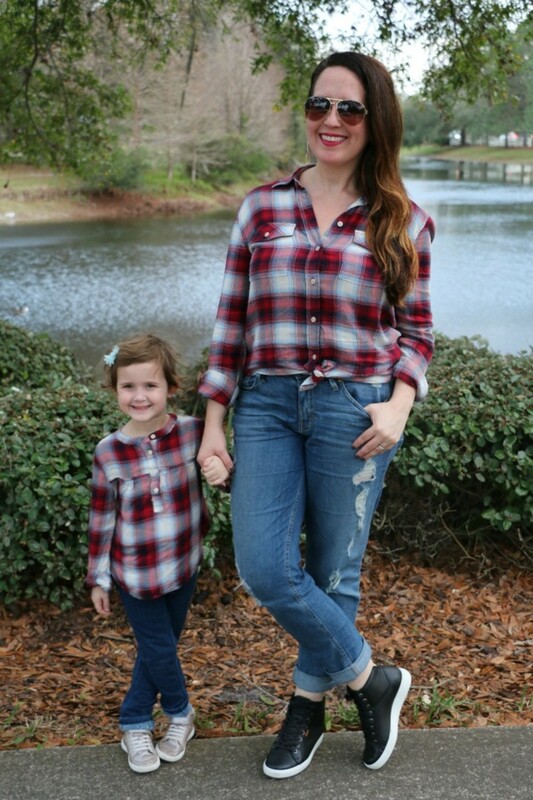 And for even more mommy-and-me fashion, check out our mommy and me ballet inspired style!